Comprehensive review of Hangover Stopper. See what real experts and actual users have to say about this hangover cure. Hangover Stopper is one of my least favorite products out there for hangovers. In my opinion, the worst part about these pills is that they give me additional stomachache and headache issues. Unfortunately, I cannot say that my hangover was cured in anyway after using this product, which is another reason why I couldn’t rate this product any better. Overall, the detoxifying capsules just didn’t meet my needs. I personally wouldn’t suggest this product or use it again. There are much better options out there to help prevent a hangover after a fun night out. Hangover Stopper is very tedious and kind of a pain to use. You’re supposed to take two capsules prior to drinking, two while you are drinking, and two after you finish drinking. I found it a little annoying carrying the pills with me while drinking and remembering to take each capsule. Since they are capsules, there isn’t much of a taste or smell. The capsules are bigger than an average pill, so if you struggle with swallowing pills then this is not the right hangover option for you. However, I had no struggles swallowing these capsules. Unfortunately, the Hangover Stopper detoxifier capsules really didn’t do much to help my hangover. I didn’t experience any relief in my headache or energy level. I didn’t end up drinking as much as I intended because the pills made my stomach hurt! I guess that’s one way to stop a hangover! For me, I wouldn’t suggest this product or try it again. 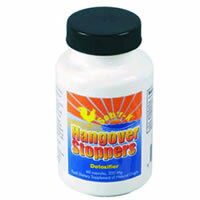 Hangover Stopper lists only one ingredient, Activated Carbon. Activated Carbon is also known as Activated Charcoal, which supposedly absorbs toxins and poisons. It is believed to help detoxify the GI tract. Luckily, there are no preservatives or additives in this product. After reading about Activated Carbon, it definitely SEEMS like a legitimate ingredient that would help prevent alcohol toxins from absorbing into your body but that just doesn’t seem to be the case in real life. Activated carbon used to be all the rage in hangover cures, but it’s rarely used anymore. The side effects are what I really disliked about this product. Right after taking the capsules my stomach started to ache, but it didn’t start really hurting until after my “during drinking” dosage. Since my stomach hurt after my 4th pill, I really slowed down and stopped drinking because I couldn’t get past my stomachache. Almost immediately after I stopped drinking I started to get a minor headache, which was very unfortunate. I called it an early night and went to bed as soon as I got home after I took my final two pills. Hangover Stopper costs $14.99 for 60 capsules on their website. That works out to $.25 per pill or $.50 per serving. If you take the capsules as directed that’s 6 capsules, which is only $1.50. This is a very inexpensive product, but any price is too high if it doesn’t work. 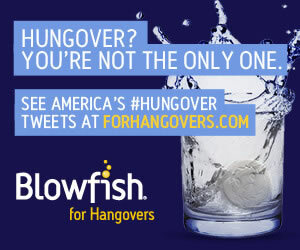 Hangover Stopper has a 100% money back guarantee on all of their products. Basically if you are dissatisfied in any way, you can return the product for your money back (except any shipping costs).